He'll get fingerprints all over that record if he's not careful. SampleRadar celebrates this today, bringing you a collection of vinyl-style royalty-free sounds to save you the trouble of crate digging and ending up in court accused of copyright infringement. 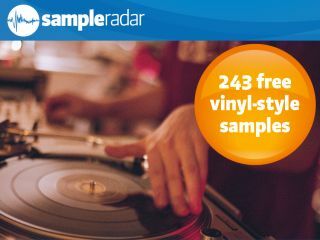 The vinyl-style samples are supplied in a zip file, so you'll need to extract them before you can see them. Enjoy!